After a lovely lie in we headed up to the buffet area for a quick breakfast before heading out to Barcelona. 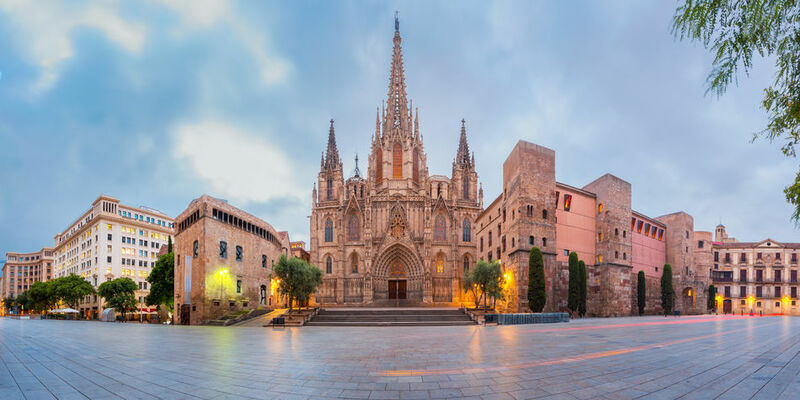 Today we walked to the Gothic Quarter, and headed to the Cathedral of the Holy Cross and Saint Eulalia, also known as Barcelona Cathedral (not to be confused with La Sagrada Familia, the Gaudi built church). The cathedral was built from the 13th to 15th centuries, with the main work done in the 14th century. Slightly bizarrely, the cathedral has a Gothic cloister where 13 white geese are kept - signifying the age Eulalia was when she was martyred. It was free to enter and we spent a long time enjoying the wonderful architecture and atmosphere inside. If you have been to Barcelona before and maybe seen the usual sights, I can recommend this cathedral as a must-see. Back on board Azamara Quest for lunch, we spent the rest of the afternoon sitting in the sun! 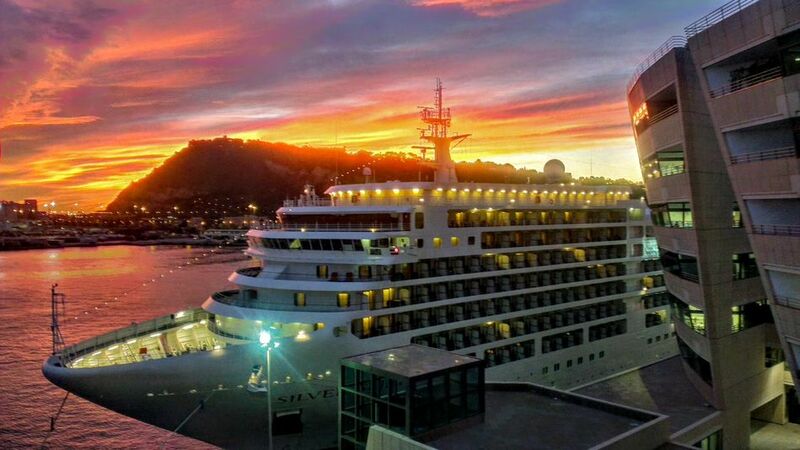 There was a spectacular sunset as we sailed away from Barcelona, and we enjoyed a few complimentary cocktails as we made our way out of the port. After our sail away, we headed to the Windows Cafe as it was Indian Buffet night, and boy was there a great spread put on! Lots of different curries, naan breads, poppadums, rices, chutneys and more. Delicious! After dinner we headed to The Caberet lounge for the evening show -Stage Door to Dreams. This was actually very good, the show had a bit of a story to it and the cast performed songs from Jekyll and Hyde, Rent, Dream Girls and more. Their Les Miserables medley was quite exceptional and they finished the show off with an upbeat number from Hairspray. This show suited their voices better than the first one and they looked like they really enjoyed performing it, even the cruise director Tony Markey made an appearance. Very enjoyable! After the show we headed to our usual watering hole of The Looking Glass as it was Latino dance night! I love the way Krishnan the bartender has my drink on the bar as soon as he sees me walk in - great service!